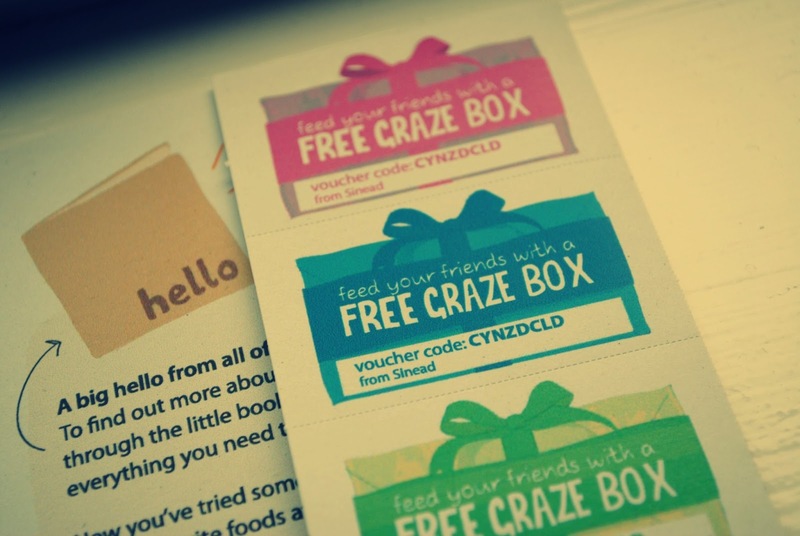 Recently I received a voucher code to receive a free graze box and I jumped at the chance because I had been wanting one for a while. When I ordered my graze box I was asked what foods I would like to receive. There is rating options on what snack you would like to receive soon, what ones you like, what you would try or never send. 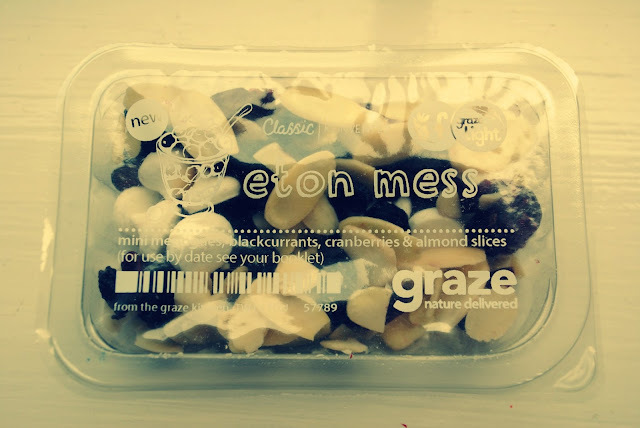 This will let graze know what they should send you regularly or what you would never want to receive .There is a large range of healthy substitutes such as cookies and cream, brownies, millionaire shortbread and Eton mess. 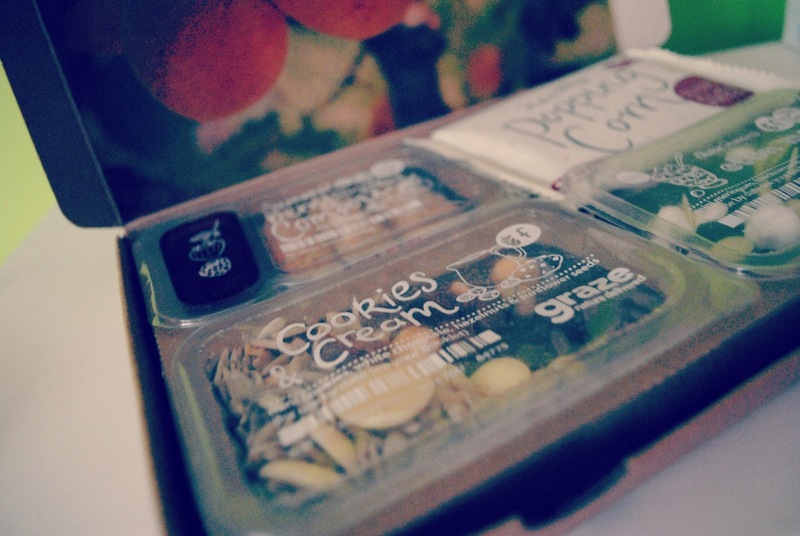 In my first Graze box I received four pocket sized snacks to enjoy through out the week. 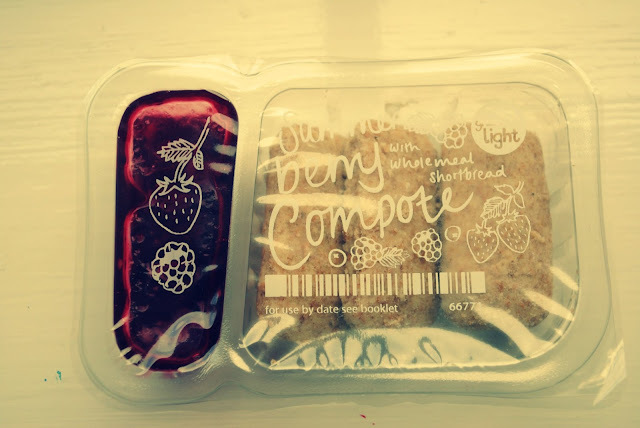 The snacks I got were Summer Berry Compote with Wholemeal shortbread, cookies and cream, Eton mess and slightly sweetened popcorn. 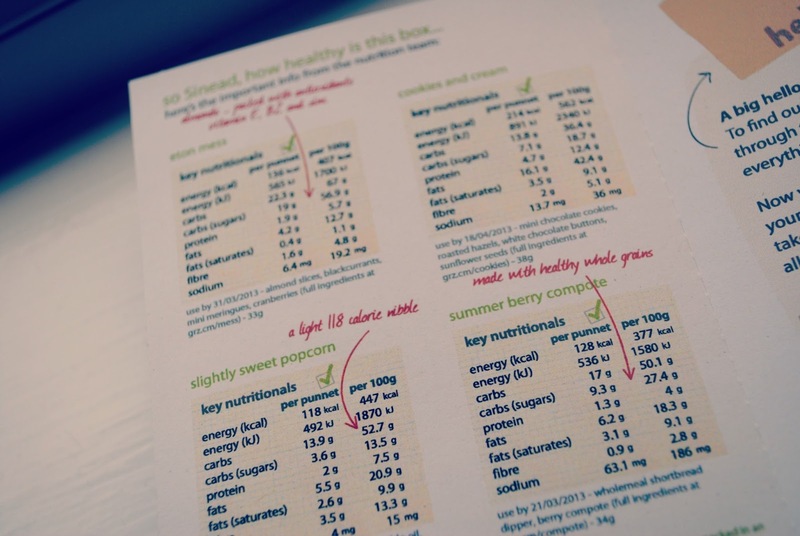 On each packet there is important nutritious information that tell you what nutrient you benefit from, from eating the snack. Apart from the snacks I received a welcome booklet which explained what they did , their staff and how they plan out their boxes. 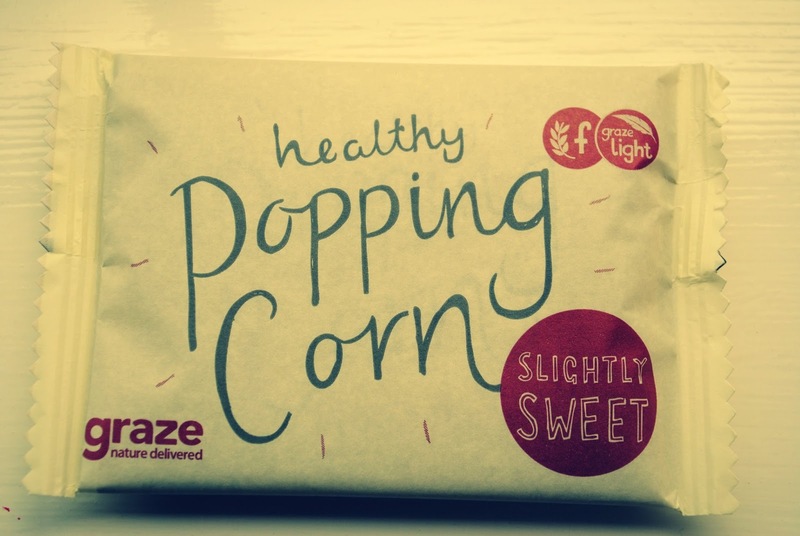 There is also another booklet which tells you exactly what is in each of your snacks and the chance to let others received a free graze box. 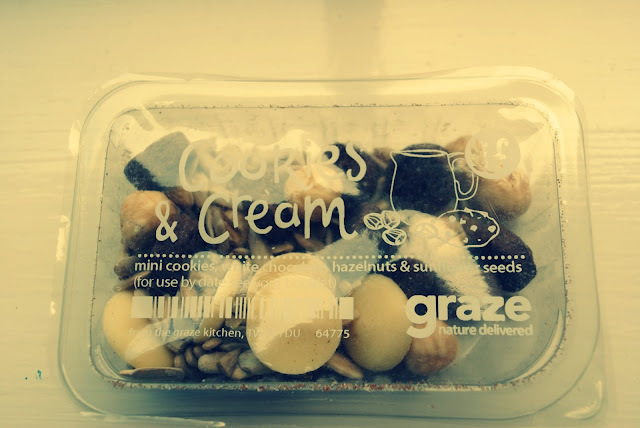 I found the graze box really good for money but the snacks wouldn't last me for a week.